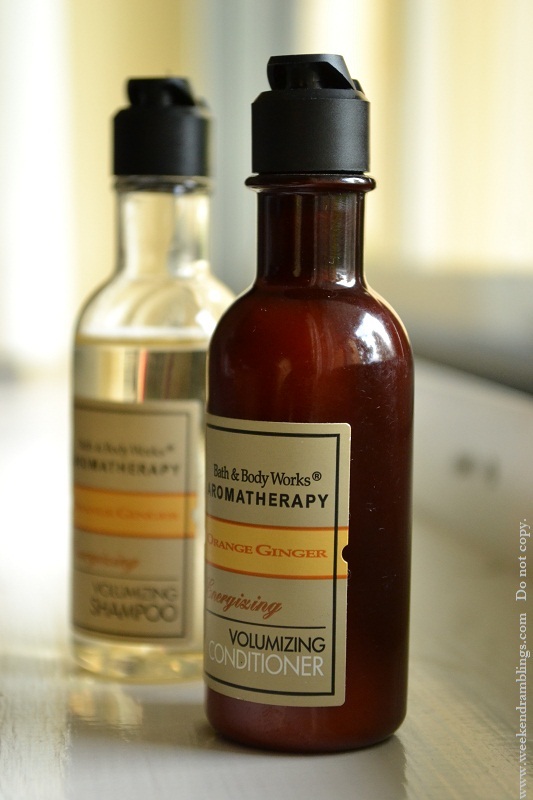 Bath and Body Works Aromatherapy Orange-Ginger Energizing Shampoo and Conditioner (Volumizing) - Boost your energy with Orange Essential Oil that refreshes and uplifts to relieve tension and Ginger Essential Oil that stimulates the soul and sharpens the senses. 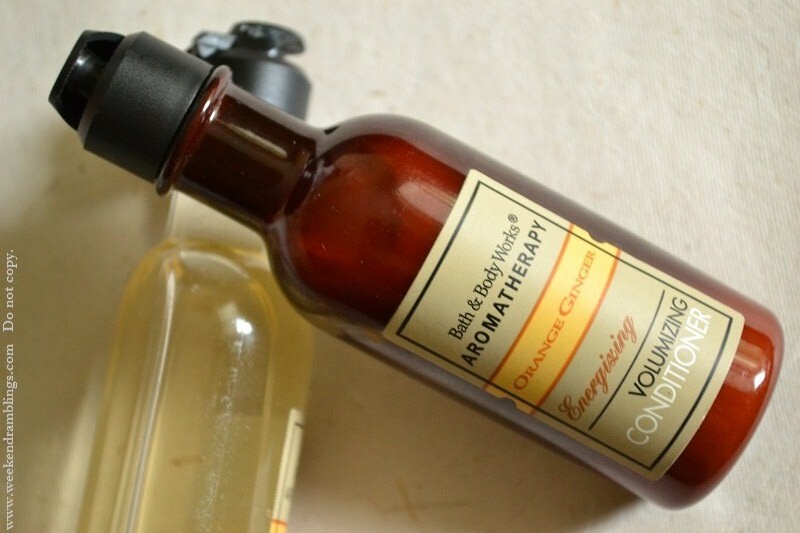 The Bath and Body Works Aromatherapy Orange-Ginger Energizing Shampoo and Conditioner (Volumizing) shampoo and conditioner were part of a travel-size set my sister got some time back, and I have the shampoo, conditioner, and a shower gel from this range. My mother took the rest of the products from the set, and I sure hope she used them up instead of just stocking them up and never really using them! I don't have any other packaging for this and am quite clueless about the ingredient list which I could not find on the website either. I read on the Bath and Body Works website - "Breathe deeply for best results" - that is one instruction you really would not need to think twice about following. 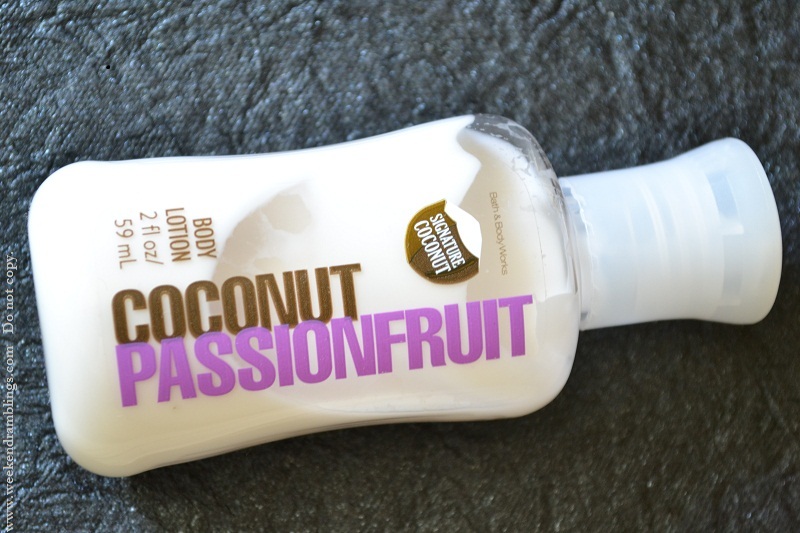 I would suggest using a similar shower gel/soap because the one time I used a regular bathing soap while using this shampoo/conditioner, I found the smell of the regular soap just so harsh :-| As for energizing, yes it did. It's not like coffee, but I believe certain smells do make me feel more awake, and this is one of them. A while back, I didn't know what gel liners were. Then, I graduated to wondering why people couldn't just use twist-up pencils instead. And now, I am in love with them. Dark Diversion is the second one I have of the amazing MAC Fluidlines, and what makes it truly special is that Rati sent it for me just in time so I have it with me for my birthday today. Released as a part of the Stylishly Yours, Make Me Over, and the MAC Style Seeker collection, this is easily my favorite gel liner. 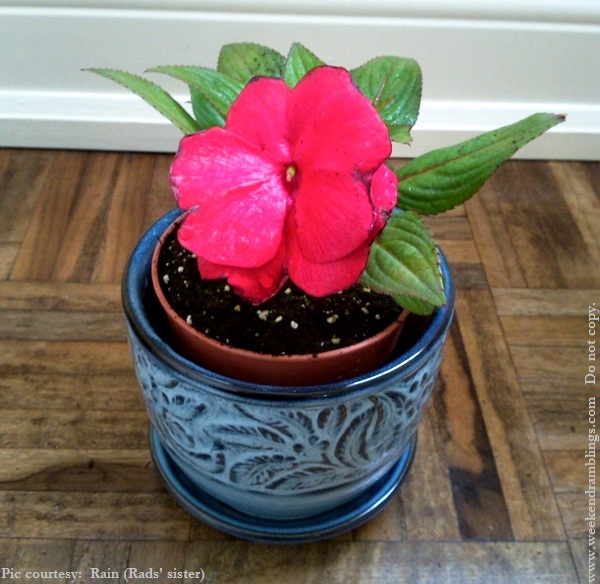 The colour is a darkened brownish plum with a very fine pearlized shimmer mixed in. 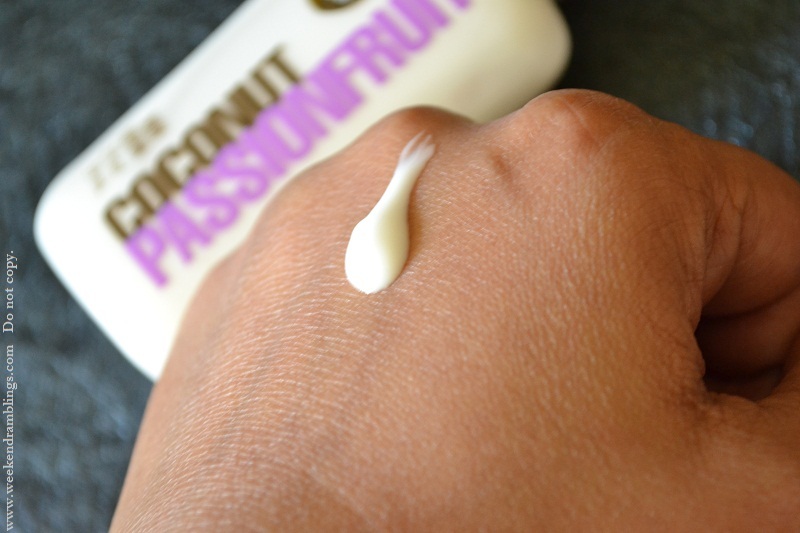 It goes on smooth and you have about a minute's time to smudge it if you wish to before it sets and stays smudge-proof the whole day. 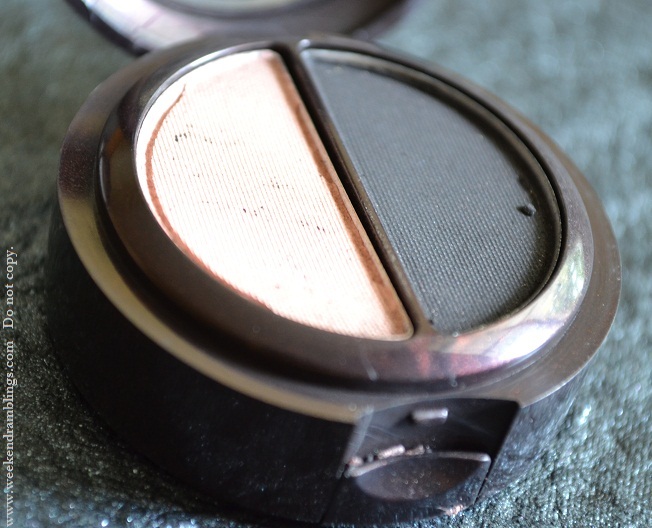 No creasing, fading, raccoon eyes - nothing! MAC's Dark Diversion is not as harsh as a black liner but is seen clearly on my darker skin unlike brown which just looks blah on me. 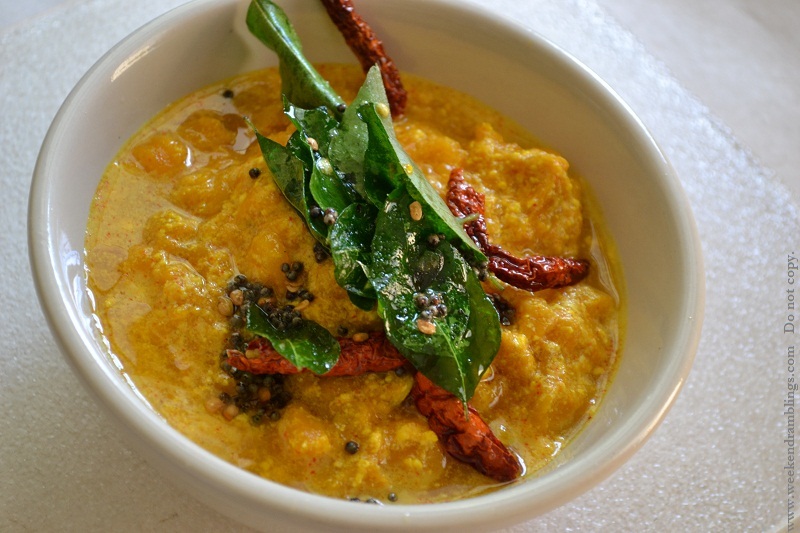 Traditionally, this dish is made using fresh grated coconut ground to a paste along with some cumin seeds. 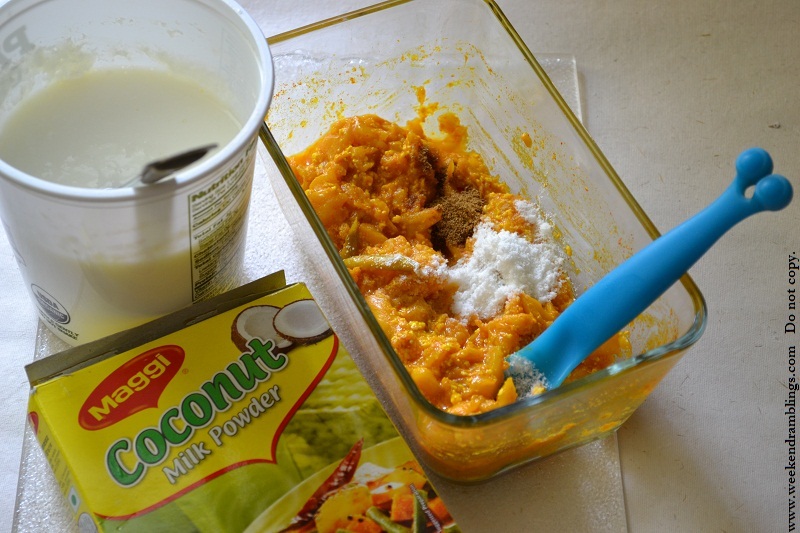 I make it that way, but many times I take the easier route and use coconut milk powder - quite readily available in most shops - and do most of the cooking in the microwave. It's a bit faster, but more importantly it's a lot less work. Mix. Cover and cook on high power in the microwave for about 10 minutes. 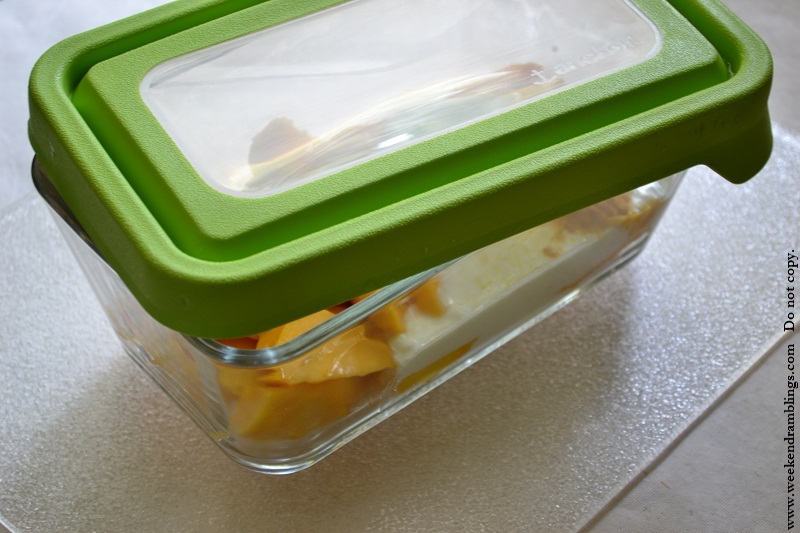 Cooking time will vary between microwave ovens, so just check - the mango pieces should be cooked through. About 1 cup yogurt to make a creamy sauce. 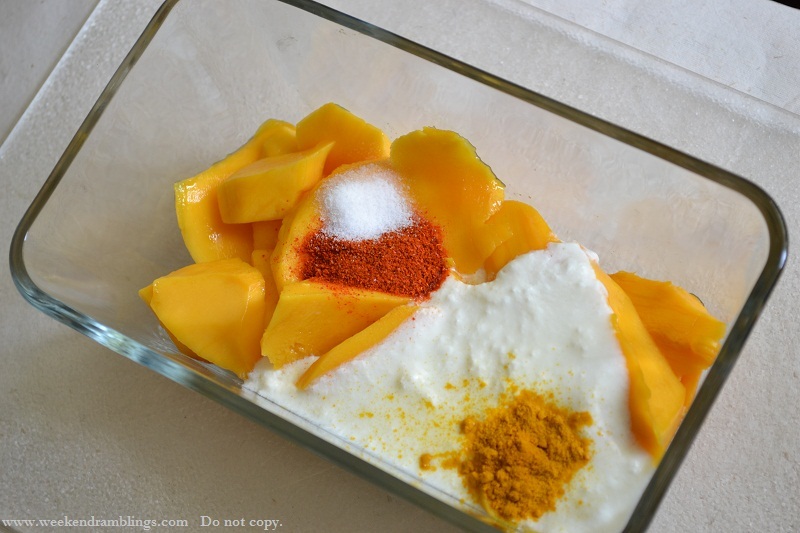 Mix and cook in the microwave for about 2-3 minutes. The mixture should be allowed to cook only until comes to a boil and immediately take out of the microwave (or off the stove/heat if that's how you are cooking). If cooked any longer, the yogurt can start to split up and the sauce looses it's creamy appearance. Check for salt and add if necessary. Tempering: The flavour in this dish comes mainly from the tempering that is mixed in after the cooking is done. Traditional Kerala cuisine uses coconut oil, and that is what I use for this purpose, but it can be substituted with cooking oil such sunflower/canola/safflower. NOT ghee/butter/olive oil. Heat about 2 tsp of oil, and once it gets hot enough, you would need to add the following in the same order as listed. 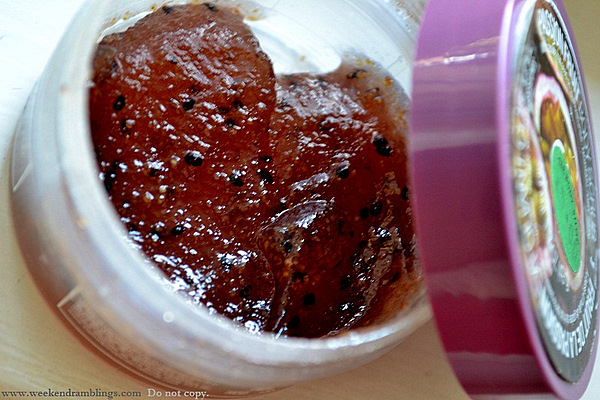 Immediately following the fenugreek seeds, add a pinch of asafoetida/hing. 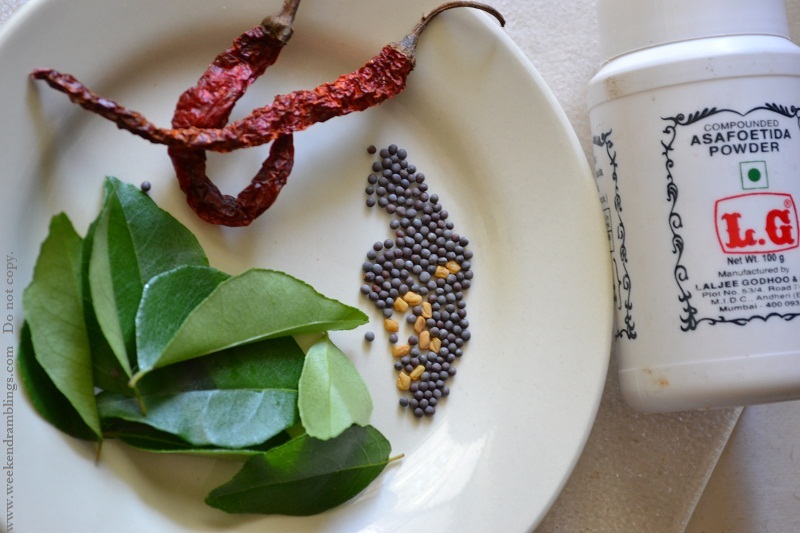 Right after putting in the hing/asafoetida, take off the heat and pour this into the prepared curry and mix it in. Cover and keep aside for about 5-10 minutes to allow the flavour to mix in. Serve hot with rice. 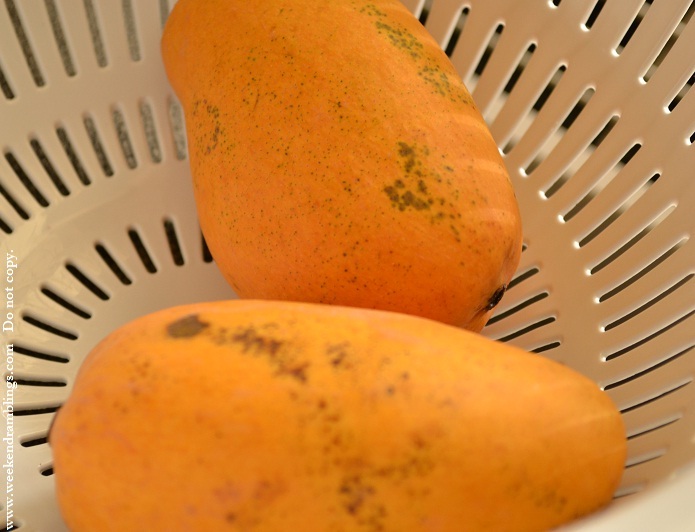 The mango used for the dish should not be too sweet. 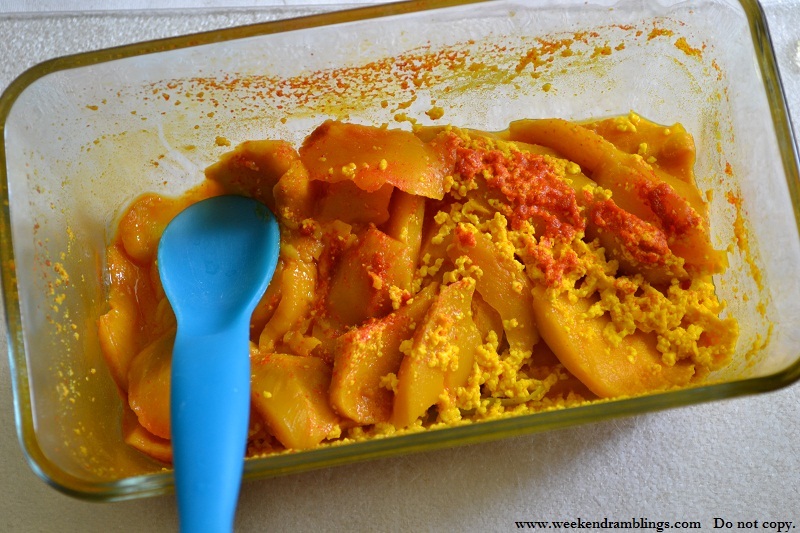 I have read recipes where it is advised to add a bit of sugar to make the dish a bit sweet, but I personally do not like sweet-tasting curries, and I prefer making it without added sugar or with sweeter mangoes. Use only plain, unflavored yogurt to make this dish. The yogurt has to be tangy for the real flavour of the dish to come through. This is a little difficult to achieve with regular store-bought yogurt, so it is best to use homemade yogurt. 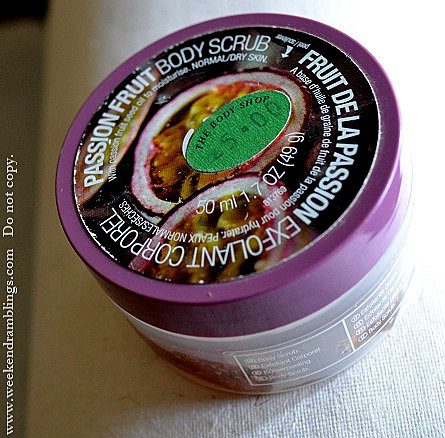 TBS Passion Fruit Body Scrub - Ground corncob amd kiwi seeds do the scrubbing. 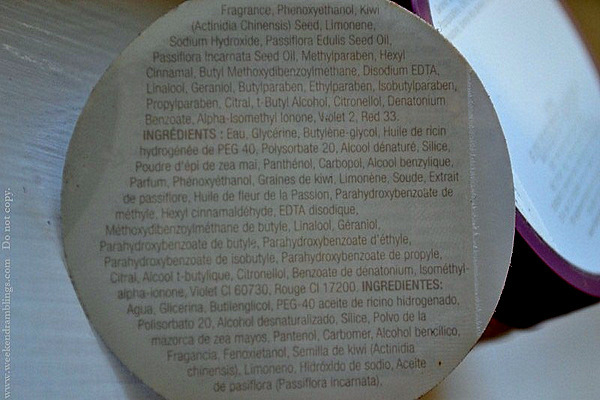 Passion fruit seed oil and panthenol for skin smoothing. This is another TBS product that I got from my sister (no, she is not the generous sister - she didn't want it, I think), and I quite like this one. 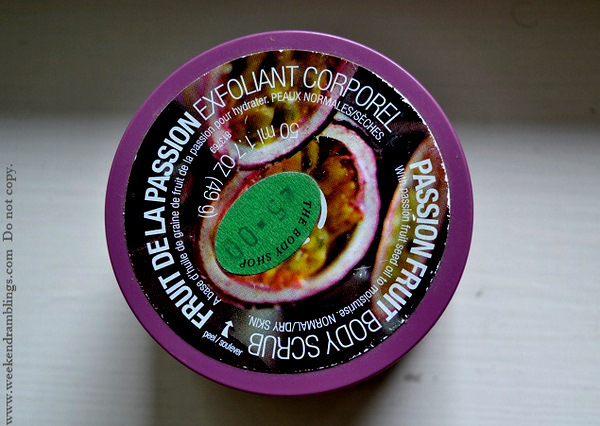 With a fruity smell this jam-like yummy scrub is difficult not to like! The scrub has some large particles scattered throughout, but the scrubbing power is from very small grandules that make up the majority of the scrub. 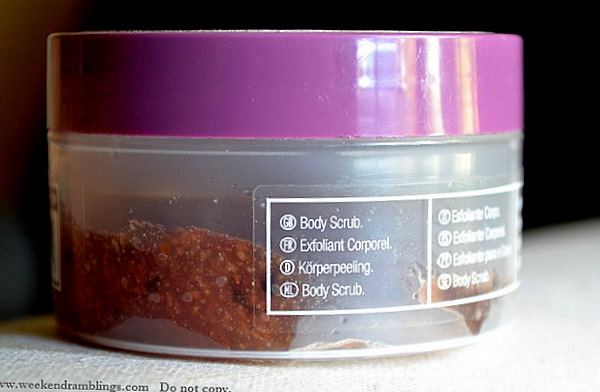 The granules are finer and smoother than the ones in the TBS Cranberry Joy Body Scrub. 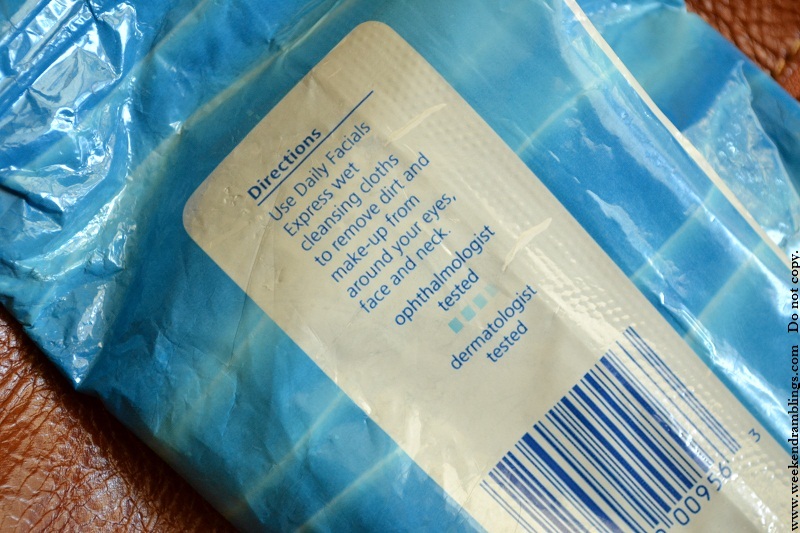 It's easy enough to use - take the appropriate amount and scrub gently. Wash off to smooth skin. Despite their fine size the granules do a good job, so don't get tempted to apply too much pressure while scrubbing. 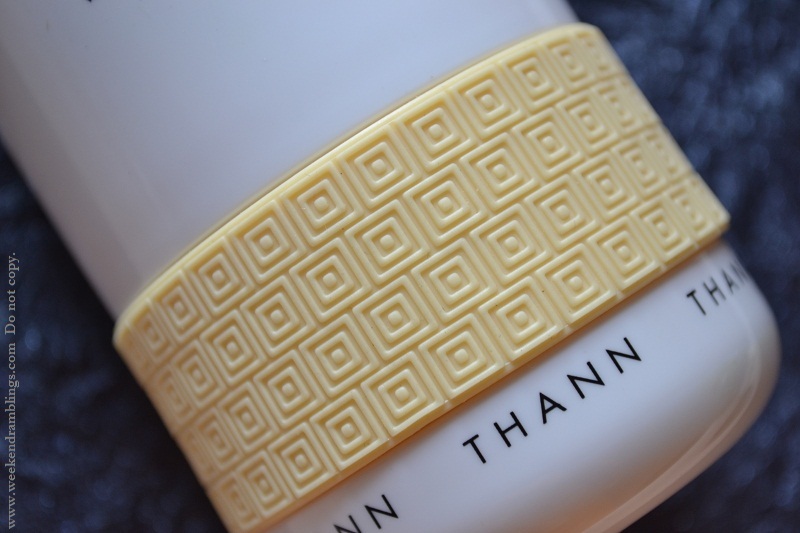 It leaves a faint fruity smell on the skin - very faint - and it disappears by the time I am done with my body lotion (never skip moisturizing after a scrub unless it is an oil-based scrub like this one from Thann). TBS Travel/Mini Makeup Brushes Kit - A portable brush kit that includes an assortment of travel-friendly-size brushes: Blusher Brush, Eyeshadow Brush, Slanted Brush and Lipstick/Concealer Brush. 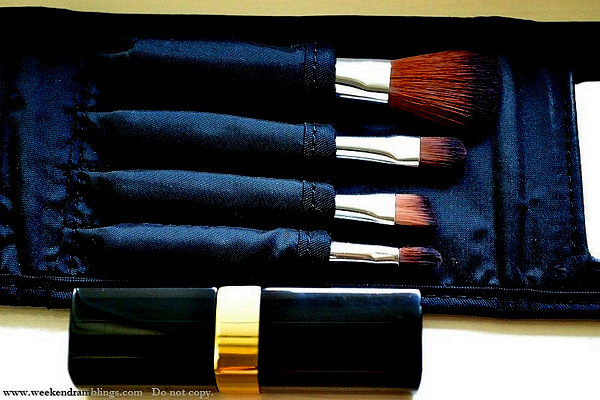 These were the first makeup brushes I bought from TBS, and I had picked them up on a sale at about 20% off. Seemed to me at that time to be quite an upgrade from the sponge-tip applicators that came with the Lakme eye shadow quad! And I didn't know that the MAC store just across the road sold brushes and not computers :| Older and wiser now, here's what I think of the TBS mini-brush kit. 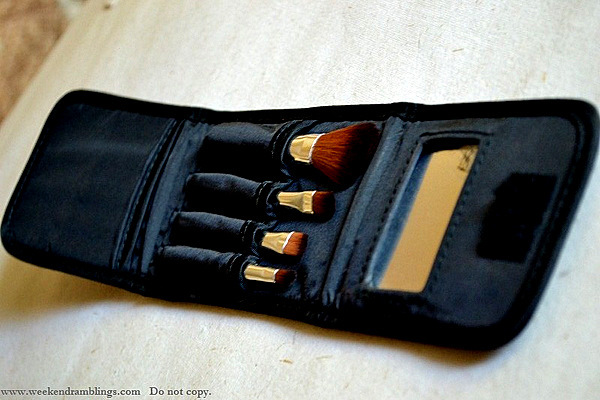 The brushes are enclosed in a flap-type case with a small mirror on one flap and a small pocket on the other. The two flaps fold up and are secured with velcro strips. 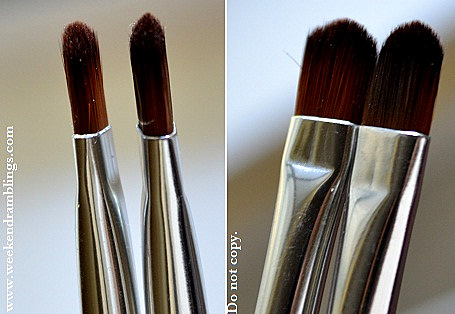 The makeup brushes themselves have shorter handles and though much smaller than the regular-sized TBS brushes in size, the brush heads themselves aren't too tiny. 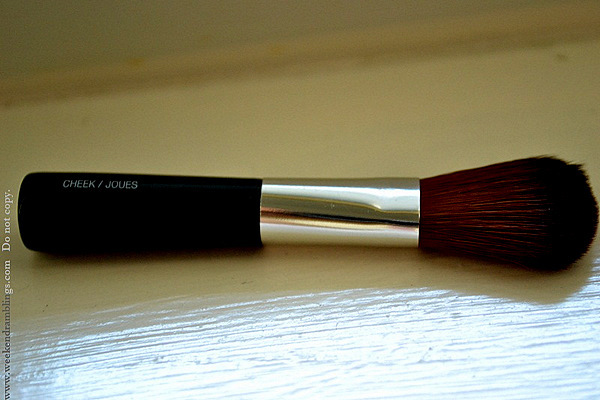 TBS Mini Angled Eyeshadow/liner brush: I use this for gel liners since I don't have any other brush. 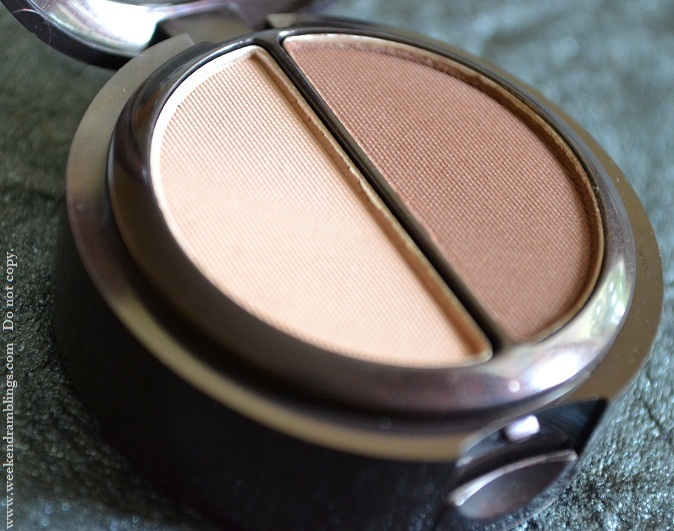 It's also useful for lining using powder eyeshadows. 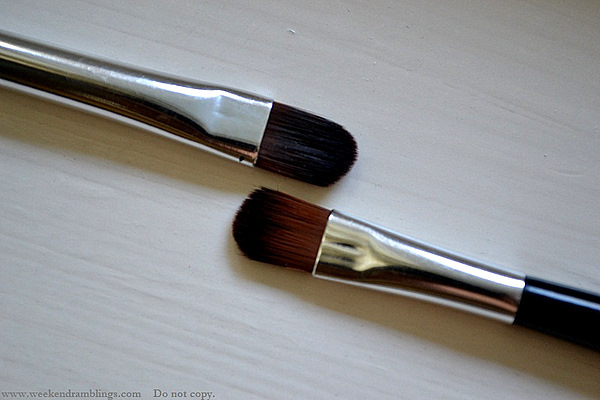 I do have the regular-sized version of this brush from TBS, and I find these two brushes almost similar in quality. 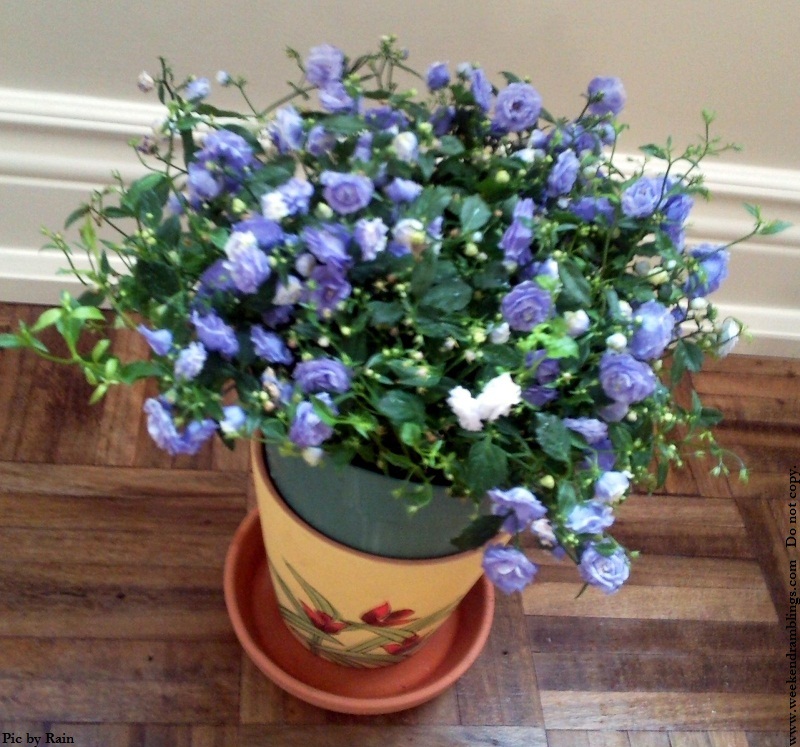 The mini-version has a slightly smaller and less dense brush head compared to the regular version. I didn't realize I should have cleaned the brush until after I had done with the photos, so for easy differentiation now, the dirtier blacker one is the regular-sized brush. 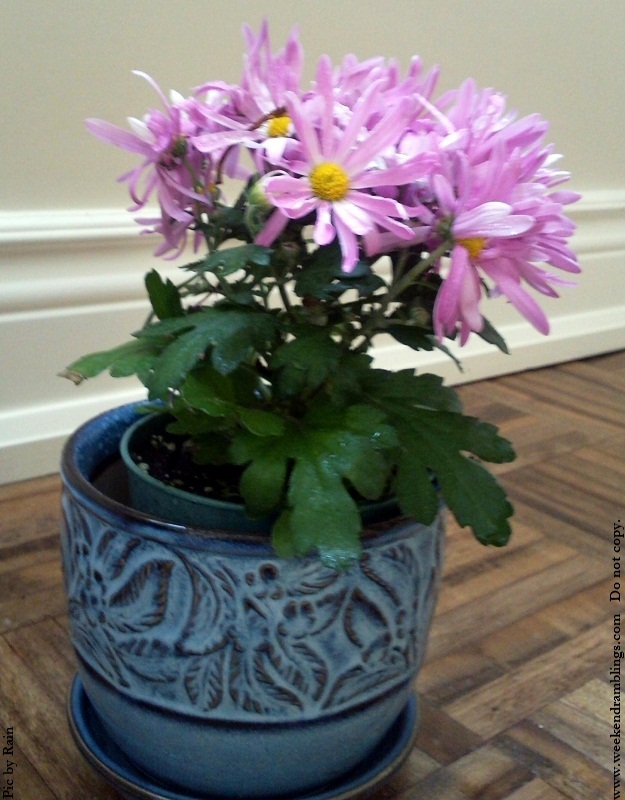 Though not that obvious in the photos, it is more densely packed then the smaller version, but don't the two look quite similar? TBS Mini lip brush - meant for applying lipsticks/glosses. 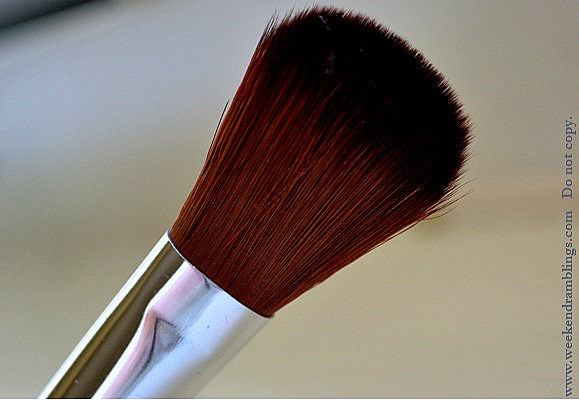 I found this brush a bit too thick for lipsticks and more perfect for eyeshadows - use as a pencil brush to line along the lashline. I am not sure if TBS has reduced the prices now, but when I bought it, it cost about Rs. 850, which I feel is a bit too high for this kit. If you don't mind spending a little extra, I would recommend buying individual full-size brushes instead, though, because not all the brushes are that useful. The shorter handles can also be quite problematic for larger hands. Colorbar is a brand I know of only from reading other makeup blogs, and it's usually just a pretty picture through my browser window. I do have two nail polishes from this brand, gifts from Rati (a courier full of firsts - my first MAC eyeshadow too). It's been a while since I got them, but I am getting around to using them only now. 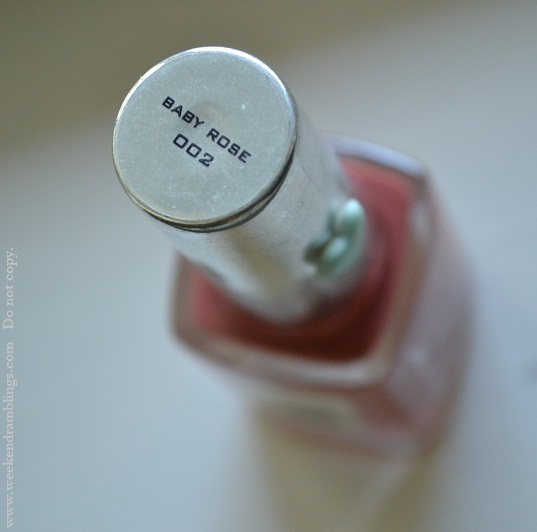 Here's the first colour I tried - Baby Rose. 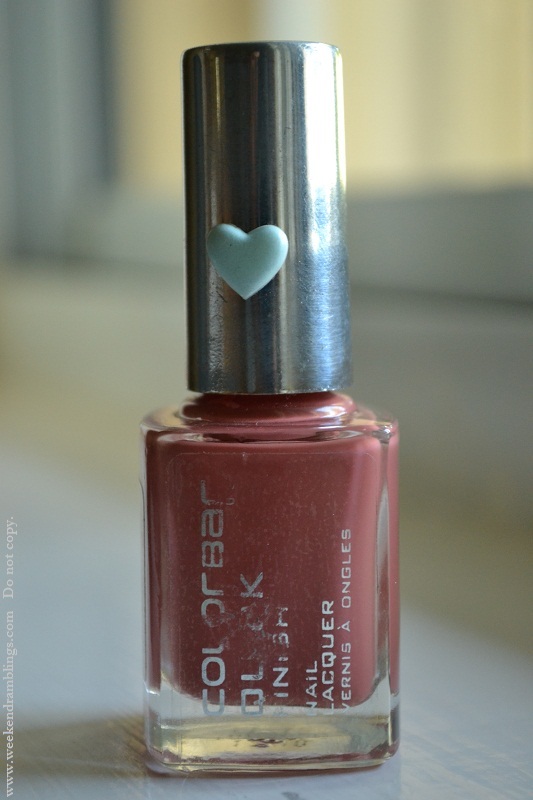 An awesome nail polish and a pretty colour. Love it. 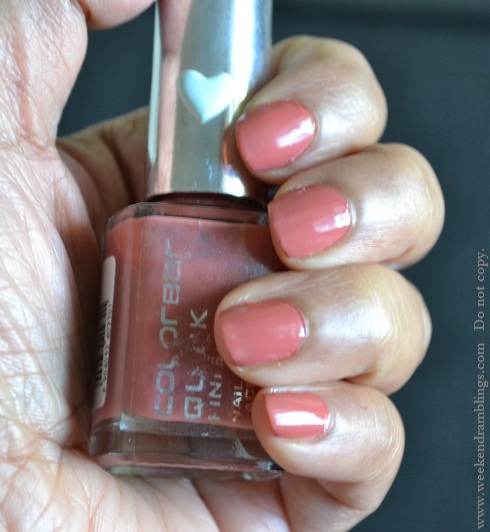 Do check Rati's post for the review here. 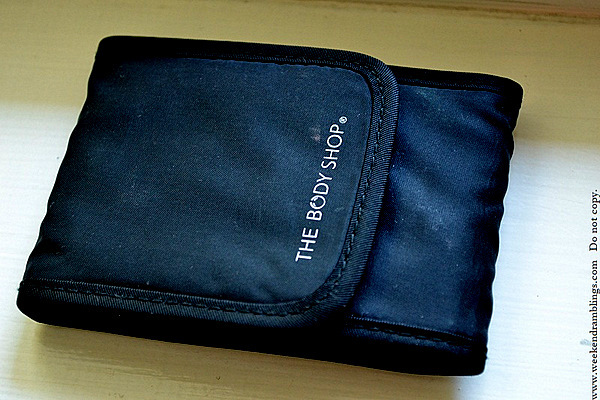 All of us have some permanent fixtures in our bags - the ones that would be with us on every trip and on every train. 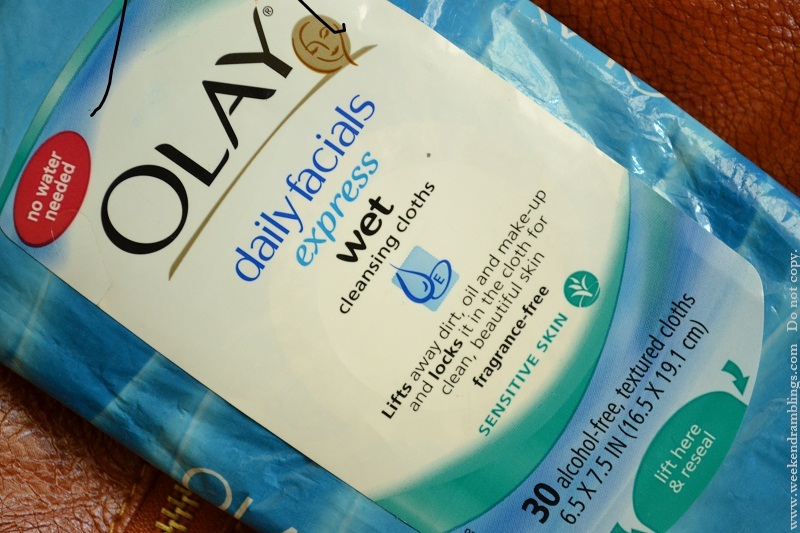 Olay Daily Facials Express Wet Cleansing Cloths ('clothes' would sound odd I guess) are one of the permanent residents in my bag. 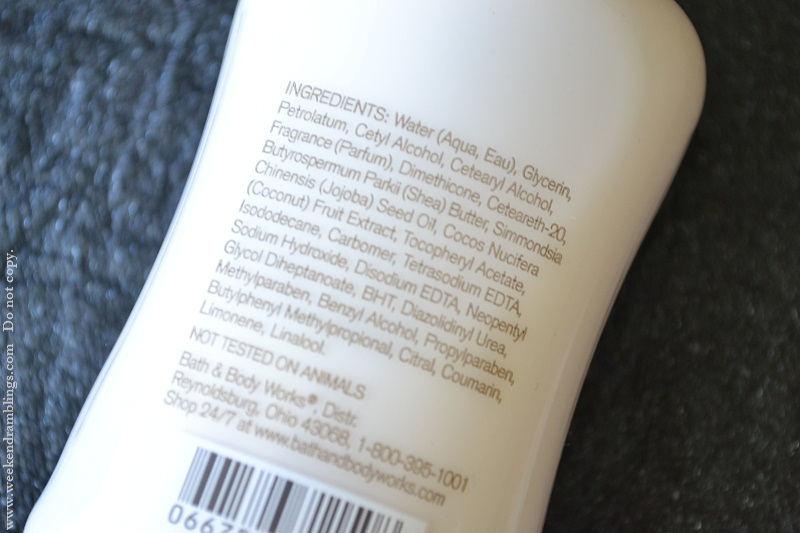 What I love about them: They aren't very expensive - Olay is a drugstore brand, and you can always get lucky at CVS and pick these up at even lower price. The sheets are generously sized and I have never needed more than one sheet at a time. And they are good. I don't use waterproof makeup, but these do take off every bit of makeup from my face. I generally use an eye makeup remover but these do a good enough job (I do rely on Q-tips to take off the waterline makeup) at taking off eye makeup too. Lazy girl's confession: I have slept off sometimes without bothering to do a proper cleaning/moisturizing - just wipe off everything with a cleansing cloth and sleep - and have woken up to perfectly normal skin the next day. I am not recommending you do this, but I like that I don't wake up to pimples, which is the case with every other wet cleansing cloth I have tried. 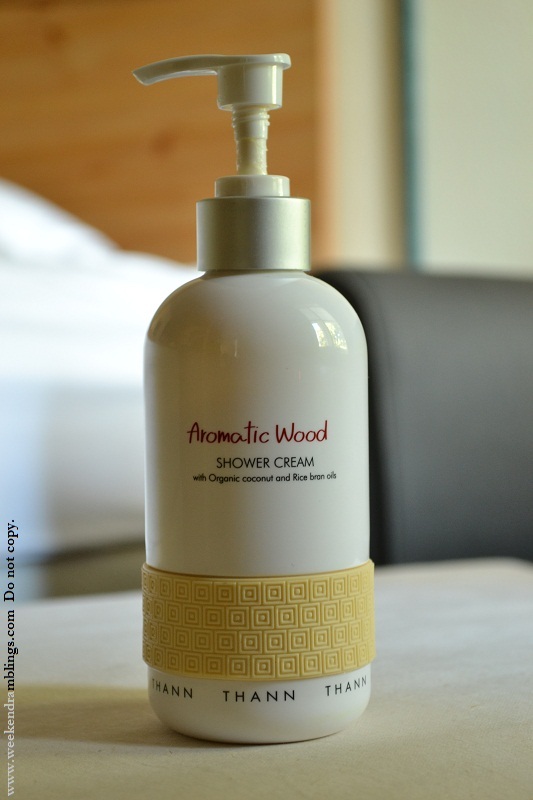 A rich shower cream formula containing 8.5% Organic Coconut, Rice Bran and Jojoba Oils, cleans and intensively moisturizes the skin as well as uplifting your mind and spirit with Thann Orange, Tangerine and Nutmeg essential oils. Claims: Created with a sophisticated blend of organic coconut oil, providing an excellent soothing, nourishing and antioxidant properties. 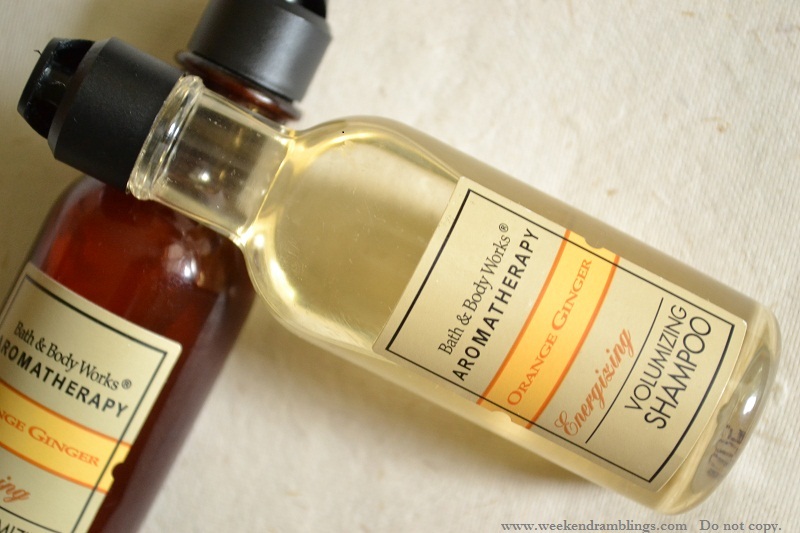 The sweetness of orange and tangerine essential oils creates joy and uplifting ambience. Rice bran oil and wheat amino acid are rich in Vitamin E and fatty acid, which act as potent emollient properties to protect skin from moisture loss, promote free radical scavenging property, and decelerate aging process. 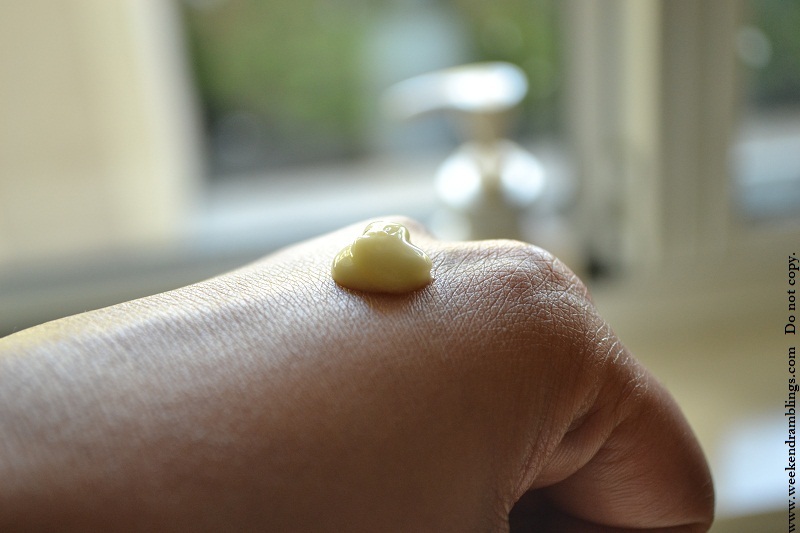 The shower cream, quite true to it's name, is creamy and rich, pale yellow in colour and has an orange-sweet smell that does not get too overbearing. The lather is soft and creamy and washes off remarkably easily, a huge plus point for me - I am so fed up with shower gels and creams that need another scrubbing session to get off my skin! 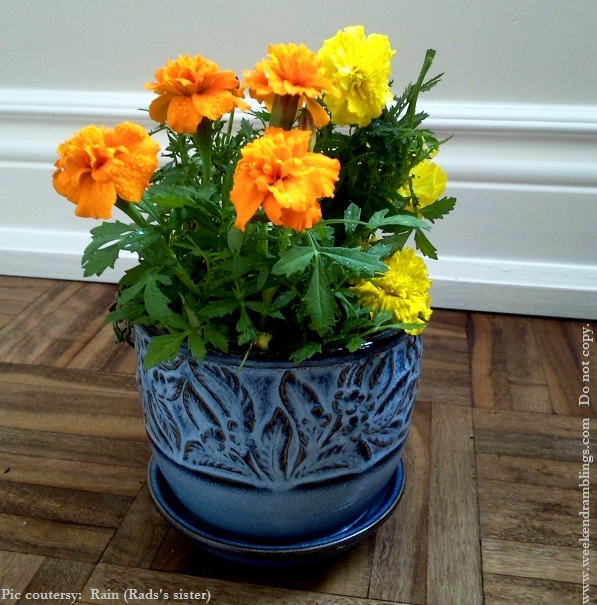 You don't need a lot of product either - a little does go a long way with this. 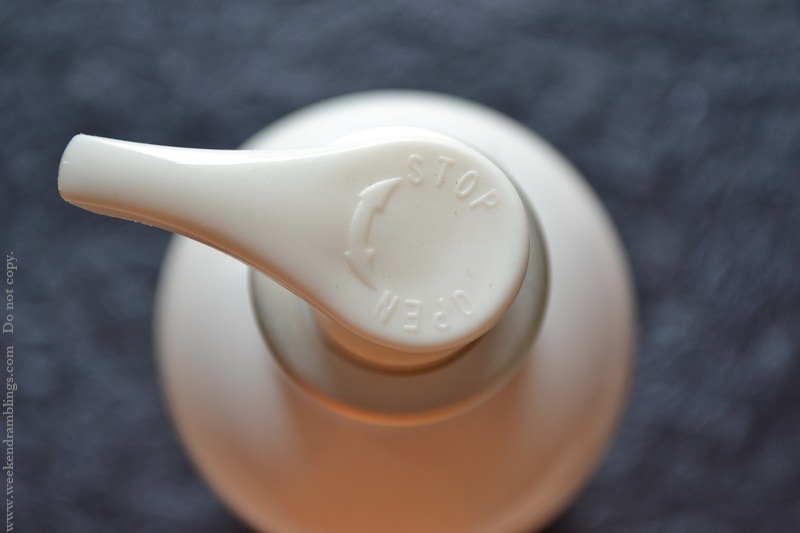 It is nondrying, especially when compared to regular body washes/soap, but I would not recommend skipping the moisturizer on a regular basis - you can get away with it occasionally, though, especially if you stay in a place with a lot of humidity. 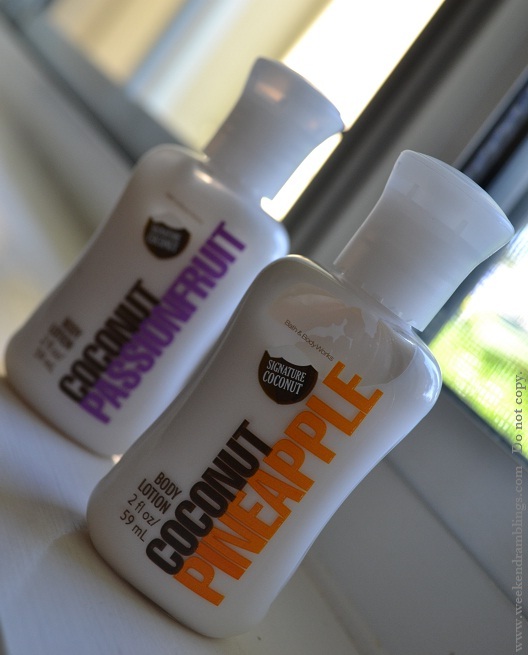 Overall, a great buy if you are in the mood for a pampering shower cream and for people with dry skin problems. 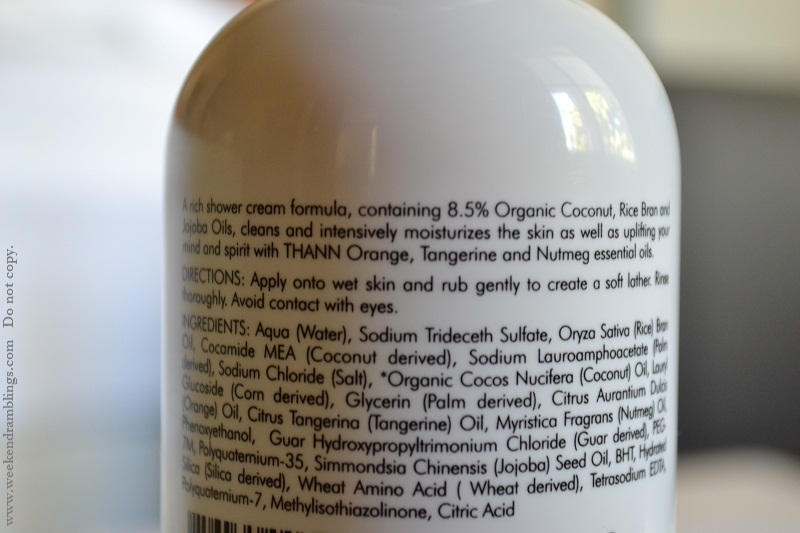 Availability: Thann retails in India at UB City and Zela, Richmond Road (both in Bangalore).